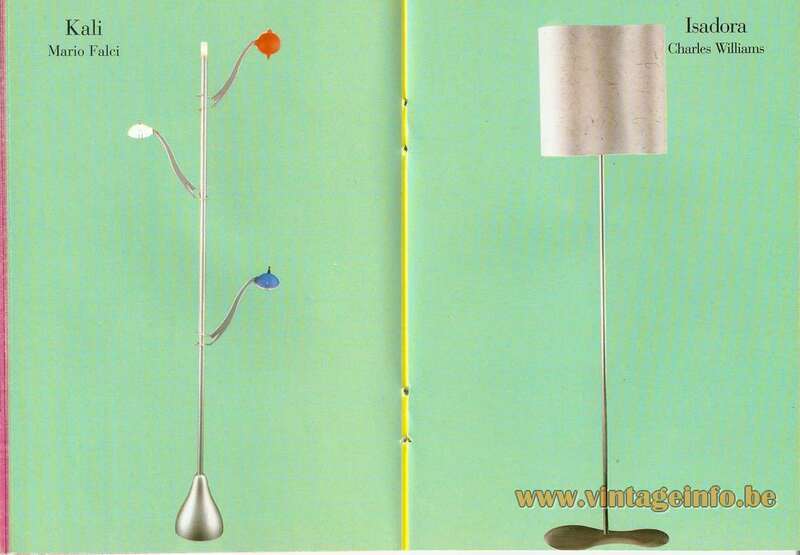 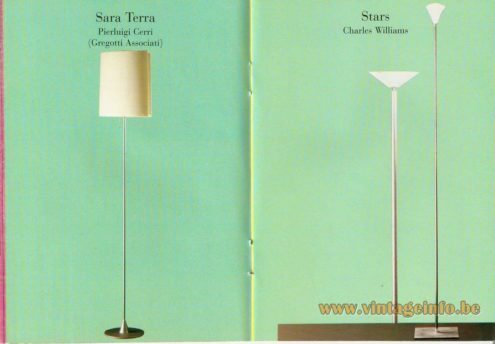 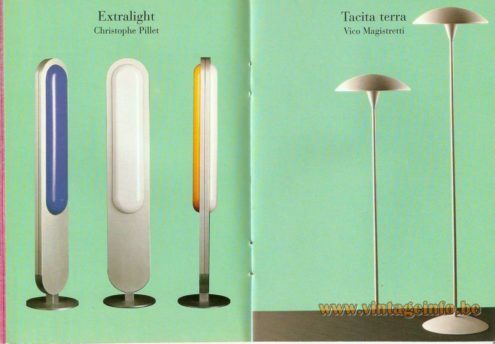 Sara Terra Floor Lamp (1994) – Pierluigi Cerri (Gregotti Associati) – A family of table and floor lamps with frame in aluminum or chrome colour painted metal and diffuser in white screen-printed polycarbonate. 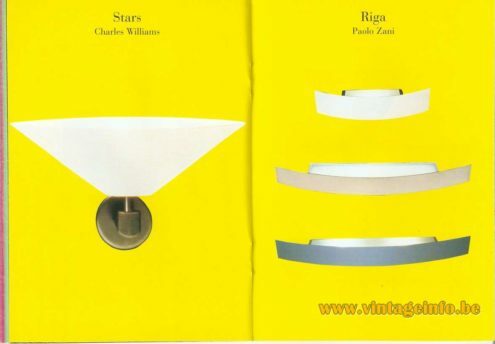 Kiasma Wall Lamp (2000) – Steven Holl – more info on the Steven Holl website. 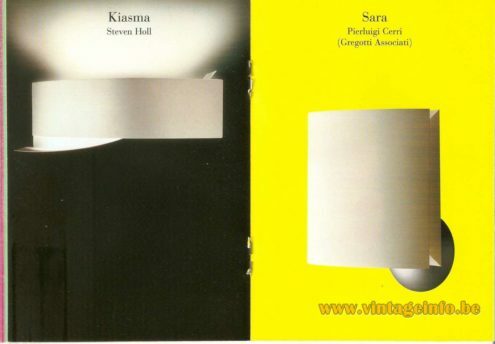 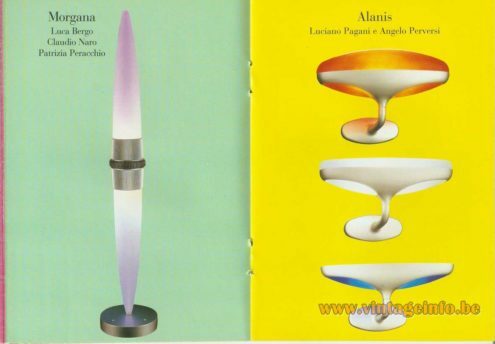 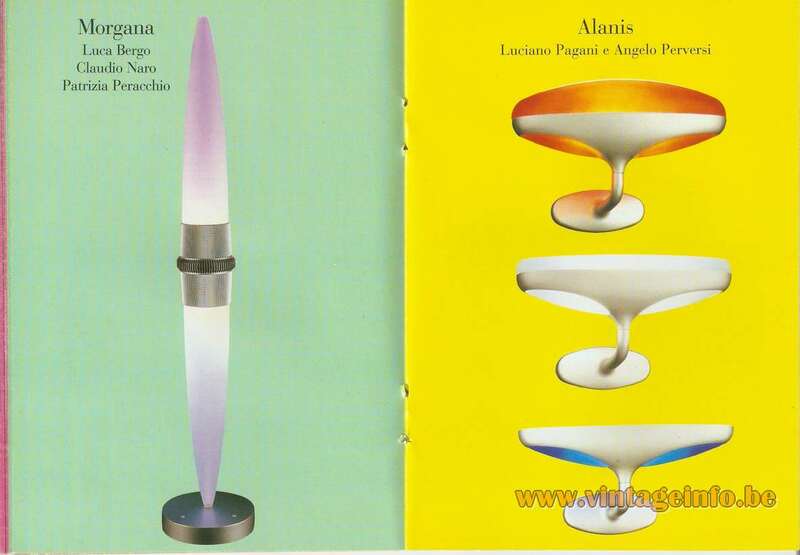 Sara Wall Lamp (1994) – Pierluigi Cerri (Gregotti Associati) – A family of table and floor lamps with frame in aluminum or chrome colour painted metal and diffuser in white screen-printed polycarbonate. More info on the FontanaArte website. Riga Wall Lamp (1995) – Paolo Zani – Wall lamp with linear essential design, comprising a structure in metal and diffusers in sandblasted tempered glass. Down-lighting and up-lighting. 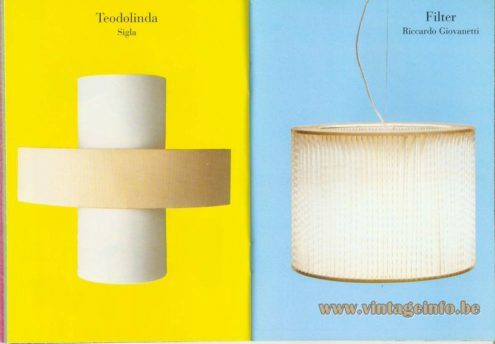 More info on the FontanaArte website. 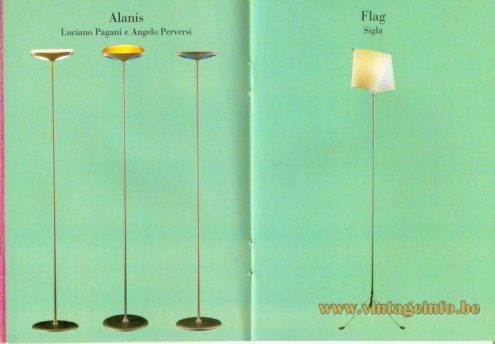 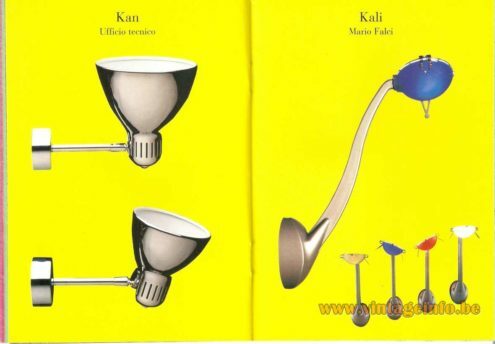 Filter Pendant Lamp (2000) – Riccardo Giovanetti, more info on the Riccardo Giovanetti website.